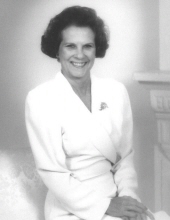 Marian Usher Smith, 85, of Fayetteville passed away February 9, 2019. She was born on September 16, 1933 in Macon, Georgia to the late Henry and Ernestine Usher. Marian loved to help others in need and she never met a stranger. She will be greatly missed by all who knew and loved her. Marian was preceded in death by her husband, Jack Dempsey Smith on June 7, 1987 and her parents. She is survived by her sons, Ricky Smith and Randy (Mona) Smith; grandchildren, Sabra (Todd) Gordy, Shanda (Colt) Johnson, Damir Smith and Karmen Smith; and great-grandchildren, Maicee Gordy, Camden and Crew Johnson. A funeral service will be held at 2:00 PM on Wednesday, February 13, 2019 at the Chapel of Mowell Funeral Home, Fayetteville, with Reverend Roger Allen officiating. Burial will follow the service at Camp Memorial Park, Fayetteville. The family will receive friends from 5:00-8:00 PM on Tuesday, February 12, 2019 at the funeral home. Pallbearers will include Jimmy Hancock, Todd Gordy, Kevin Cranford, Kerry Cranford, Dennis Gay, Tony Gavin, and Colt Johnson. To send flowers or a remembrance gift to the family of Marian Usher Smith, please visit our Tribute Store. "Email Address" would like to share the life celebration of Marian Usher Smith. Click on the "link" to go to share a favorite memory or leave a condolence message for the family.